As I painted I was listening to my inner voice and let intuition guide me. Itâ€™s good for me since I plan out my art too muchâ€¦â€¦.ha! I also was writing my thoughts on the canvas. 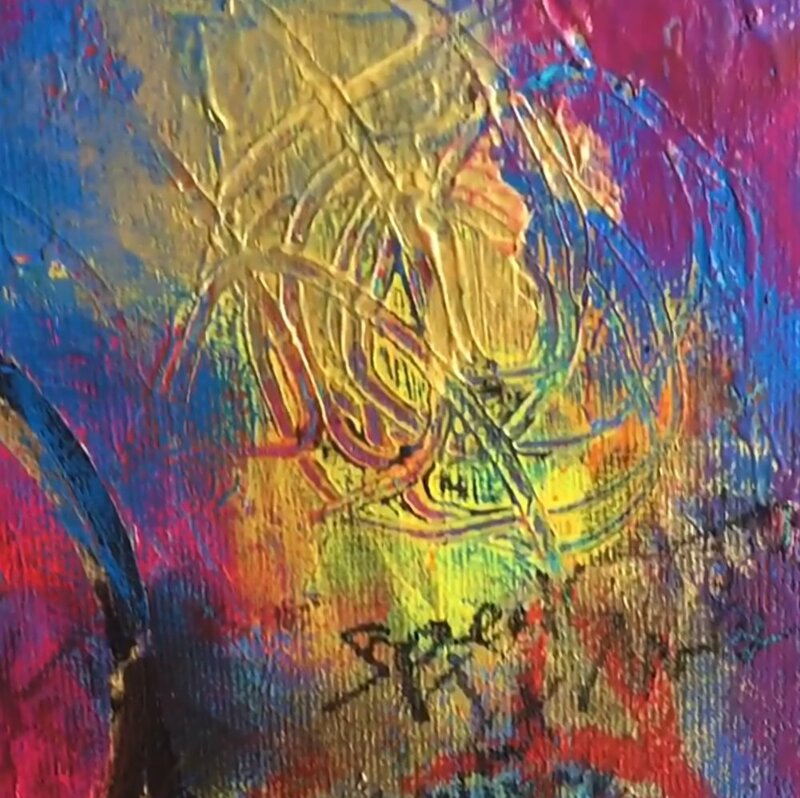 Actually, like a mantra I kept writing over and over â€œSpeak to Meâ€�â€¦â€¦â€¦â€¦â€¦I was feeling indecisive much of the time during this paintingâ€¦â€¦wellâ€¦â€¦I was trying to paint intuitively â€¦â€¦but a part of me wasnâ€™t confident the painting was going how I wanted. Iâ€™d really love to be at a point that as Effy Wild said â€œ To meet yourself on the canvasâ€¦..â€�! Yes I want the painting to paint itself and I should get out of my own way! Wellâ€¦â€¦I was really trying. think my conscious mind found it hard letting goâ€¦â€¦.so itâ€™s why I felt insecure. Iâ€™m looking forward to developing my intuitive painting abilities ! Check out the video with its 12 ideas for easy Abstract Painting ! Day 7- Blog Along Challenge- 24 Hours of ART Related Stuff !